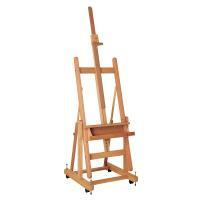 A convertable easel, otherwise known as a hybrid easel, can convert from a normal upright easel to a flat table top. Convertable easles are perfect for aritsts who like to work in a variety of media, if painting in oils or acrylics you would have it in its upright position. 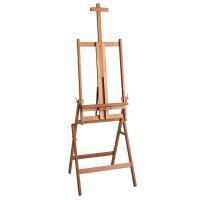 If using watercolour or pastels you can tilt the easel down into a horizontal position to make it flat like a table top. 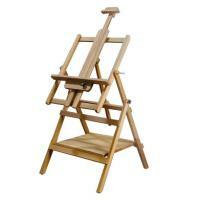 These easels are sturdier than A-Frame easels and can also often fold flat making them easier to store than H-frame easels. Some also have a handy tray for holding your art supplies.